Asphalt, gravel, snow and ice: no discipline in international motorsport features as wide a variety of different track surfaces as the World Rally Championship (WRC). It is also characterised by its diverse climatic conditions ranging from freezing temperatures to sweltering heat. Two teams – Volkswagen Motorsport and M-Sport – will once again place their trust in Castrol’s high-performance lubricants to handle the enormous stresses and strains placed on their vehicles in the 2015 WRC season. The Volkswagen team enter the 2015 WRC season as the defending champions. Its three Volkswagen Polo R WRC cars will once again be occupied by the duos Sébastien Ogier/Julien Ingrassia, Jari-Matti Latvala/Miikka Anttila and Andreas Mikkelsen/Ola Fløene. 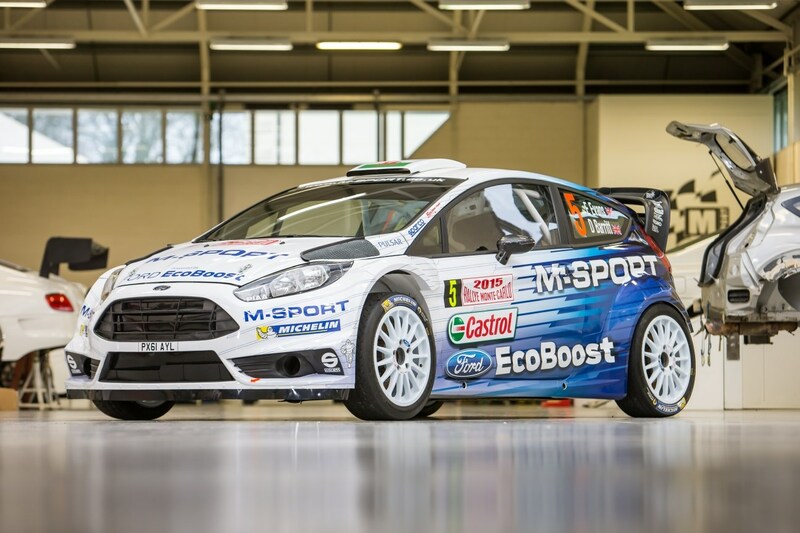 M-Sport is entering two semi-works Ford Fiesta RS WRC cars into the upcoming WRC season that are supported by Ford EcoBoost and occupied by the pairings Elfyn Evans/Daniel Barritt and Ott Tänak/Raigo Mõlder. The new season gets under way at the end of January with Rallye Monte Carlo, which is a veritable classic. The oldest rally in the world navigates tracks of asphalt, ice and snow in the French Maritime Alps – sometimes after nightfall. This is followed by Rally Sweden, where the drivers can again expect to experience low temperatures coupled with snow-covered and icy tracks. The conditions then change dramatically in Mexico, where both man and machine are really put to the test at altitudes of up to 2,700 metres above sea level with temperatures as high as 30°C. The rally virtuosos then move on to Argentina, where they will tackle extremely rough gravel tracks. The subsequent rallies in Portugal, Italy, Poland and Finland, and also Rally Australia and Rally Great Britain later in the season, are likewise held on a loose track surface. There are also two asphalt rallies in the second half of the season, in Germany and France. And as if that wasn’t enough, there is Rally Spain, which is unusual in that it features not only asphalt, but also gravel tracks. The only thing that never changes in the WRC calendar is that the conditions are always changing! As man and machine work in sync to battle the elements, this wide variety of conditions puts the materials used under a great deal of strain, with the engine oil having to work in extreme temperatures and within highly demanding parameters. With extremely high pressures of sometimes more than 10,000 kilograms per square centimetre at play, the only thing keeping the metal surfaces apart is a layer of oil. As a comparison: the pressure that the motor oil has to withstand is 4,000 times higher than the air pressure of a regular car tyre! Therefore, the engine oil has to be strong and also stay strong in every rally, every leg, every special stage, every start, every crankshaft revolution and every time the WRC drivers hit the accelerator. “Castrol technical experts develop the best lubricants to ensure Volkswagen Motorsport and M-Sport engines work at their best at all times and in any of the extreme conditions of the WRC – a true testament to the strength of Castrol EDGE”, says Castrol’s Motorsport Manager, Vincent Panel. “Castrol motorsport lubricants are the result of years of close collaboration with Volkswagen Motorsport and M-Sport. This process leverages Castrol’s unique motorsport experience, technical expertise, fanatical care and attention to detail put into each and every single one of its products to provide the best for the best.” The result is a clear advantage for the Volkswagen and M-Sport teams that shouldn’t be underestimated during the 2015 World Rally Championship.